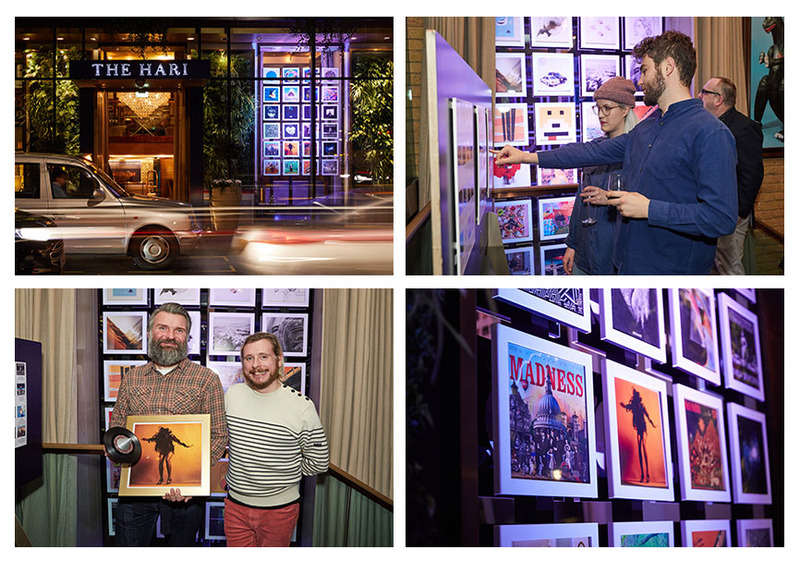 The Best Art Vinyl 2016 Awards exhibition in the form of a stunning window installation at the Hari Hotel, Belgravia, London. The display featured the 50 nominated records, chosen by a panel of highly respected music design experts and previous Best Art Vinyl Award winners. The cover art covers a complete range of creative disciplines, including traditional fine art, photography and computer graphics with some unique additions this year such as light reacting designs, scratch-off sleeves and Braille poetry.